Editors Note: Troy Bishopp custom grazes organic dairy heifers. He is letting us all follow along this fall and winter as they graze stockpiled feed. It’s a chance to see how his plan compares to what actually happens on the ground, and to learn from his challenges, mistakes and successes. He hopes that we can all learn from his example so that we can reduce winter feeding and let animals feed themselves instead. 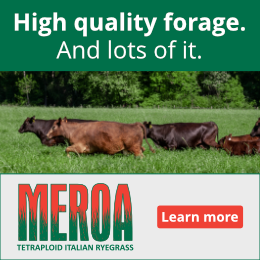 This fall and winter we are custom grazing 53 organic dairy heifers, 4 bulls and 2 cow calf pairs on forage that I stockpiled last August while the herd was off-farm grazing leased pasture. 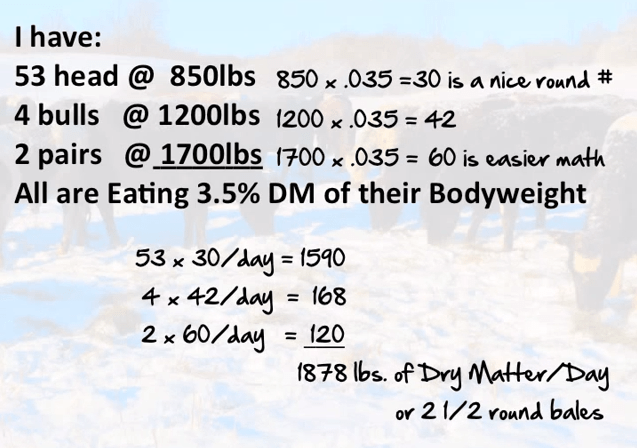 In the video I shared with the first article in this series, I showed my figures for how much forage I would need each day. 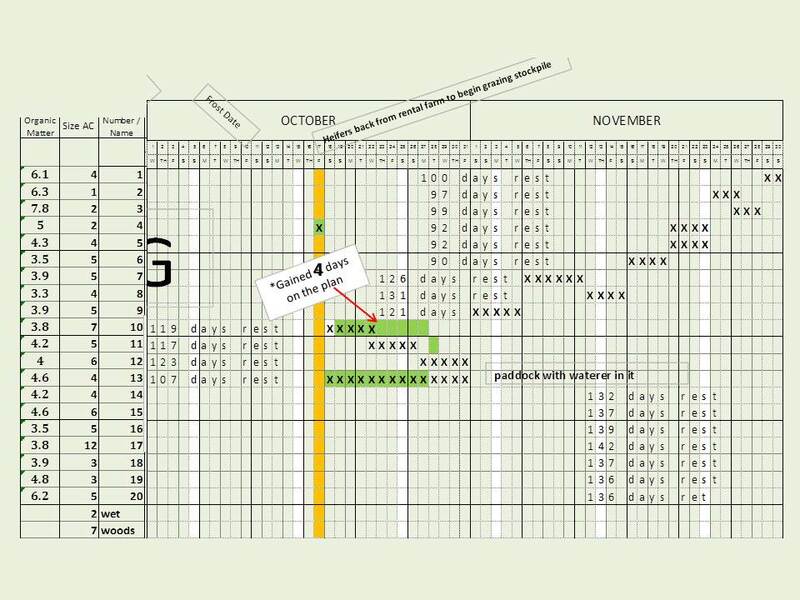 After estimating how much stockpiled forage I had in each pasture, I used my grazing chart to plan ahead and decide how much time my herd would spend in each area. 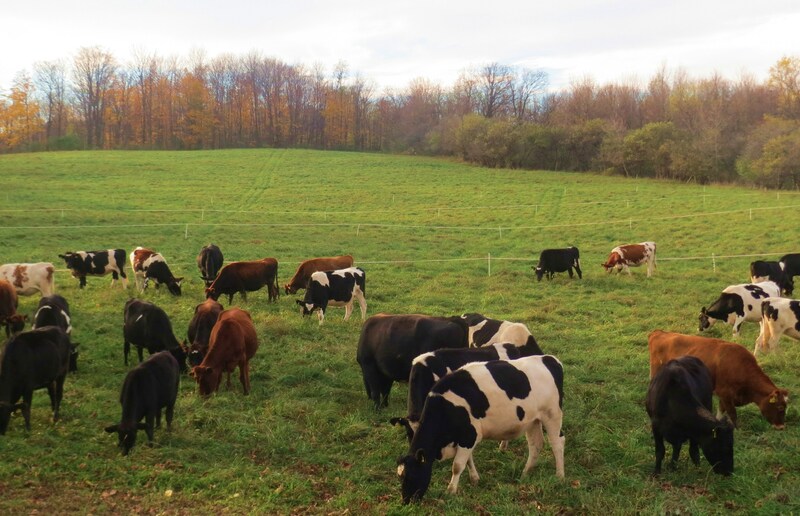 The herd returned to the farm on October 17th. As you can see from my grazing chart below they spent one day in paddock 4 to settle in before I moved them to start strip grazing in paddocks 10 and 13. 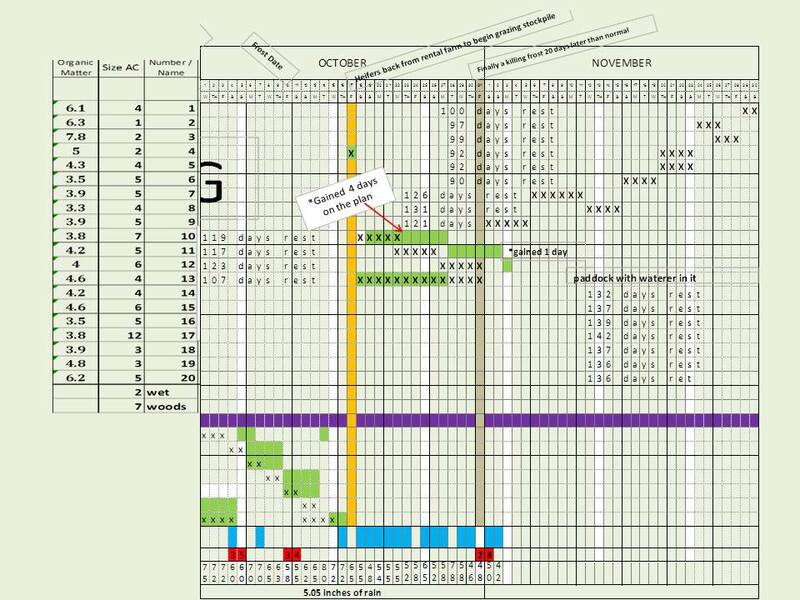 The black Xs show where and how long I planned for, and the green filled in squares show what actually happened. 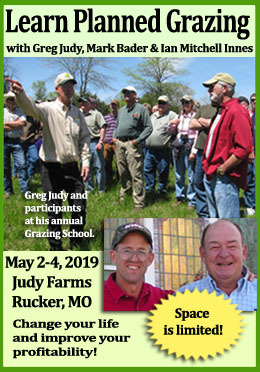 (You can download my grazing chart for this year here so you can follow along and compare planning to reality.) Paddock 13 has the gravity flow water tub in it and is the only water for the upper paddocks 10, 11 and 12, so once it is grazed off they keep walking over it to get water. 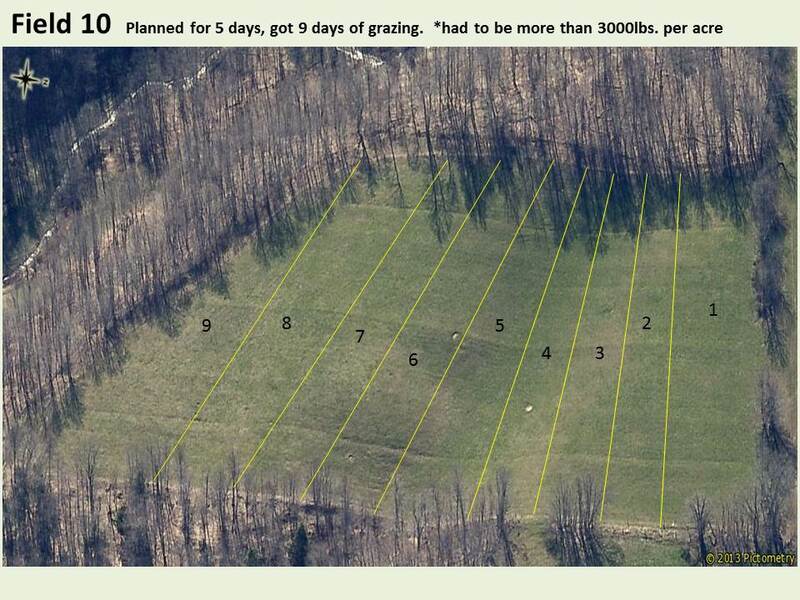 If you look at my grazing chart, you’ll see 13 gets a lot of yearly impact. As you can see, my plan is already off. In fact, I had a lot more forge in pasture 10 than I estimated. But this is a case where underestimating is much better than overestimating, don’t you agree? 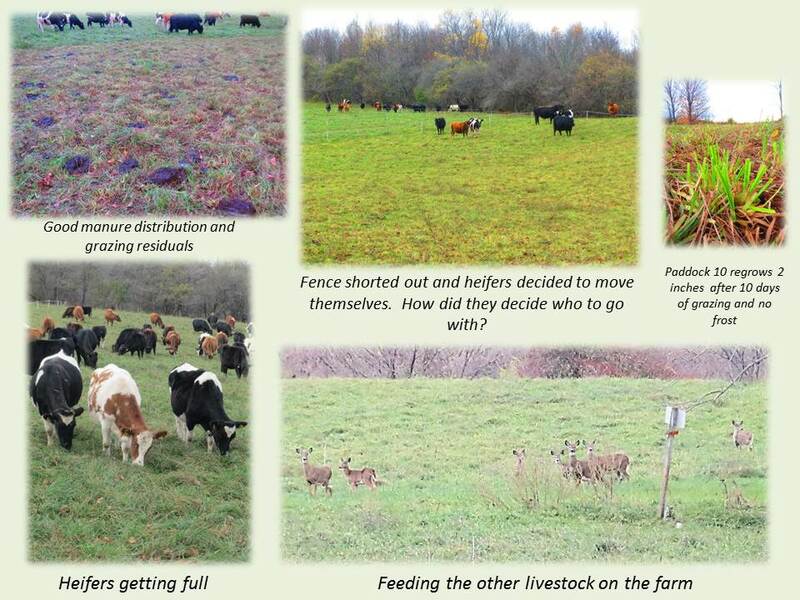 You can see the size of the strips being grazed by the herd, as well as the residuals in the pictures below. Click on pictures to zoom in. For this first week, the weather has been fine. The first 10 days were wet but temps weren’t too bad. 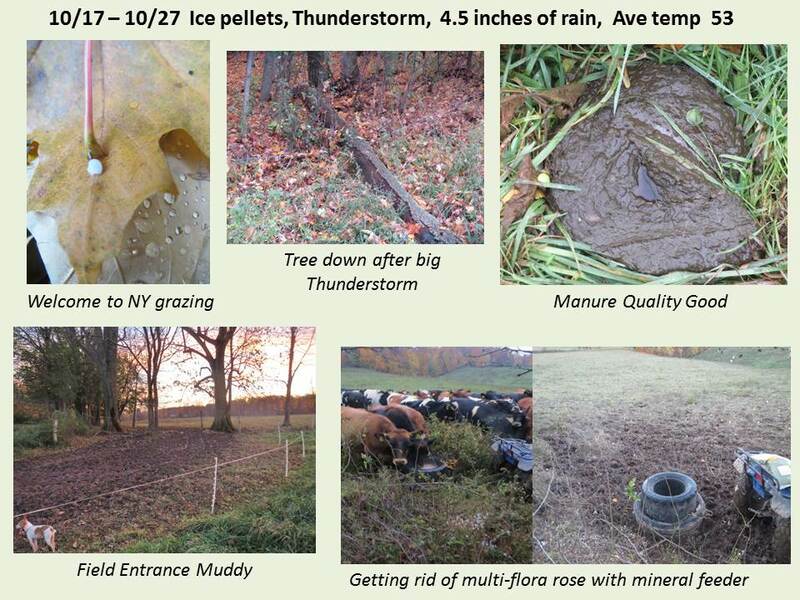 We had a big thunderstorm that brought down some trees, a huge rain one day and a few ice pellets for good measure. Without the standing forage life would be much more muddy. As it is, the gateways and around the water tub are seeing the effects of the rain. Not much I can do about it at this point. 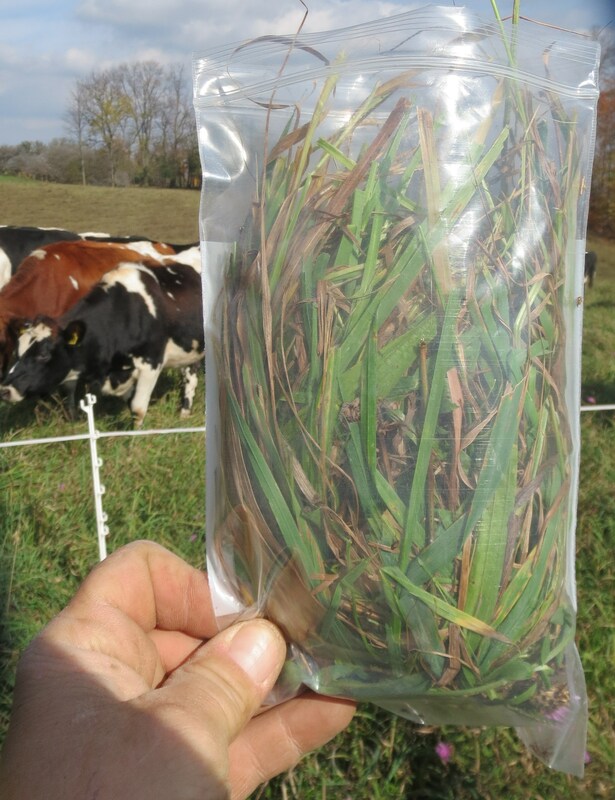 The Paddock 10 forage sample came back. This may not represent the quality of the green forage that they’re eating because I took a sample with green, brown and seedheads mixed together. I chose this sample because the cows will eventually go back and clean-up after they’ve grazed off the best stuff in the first 8 hours. 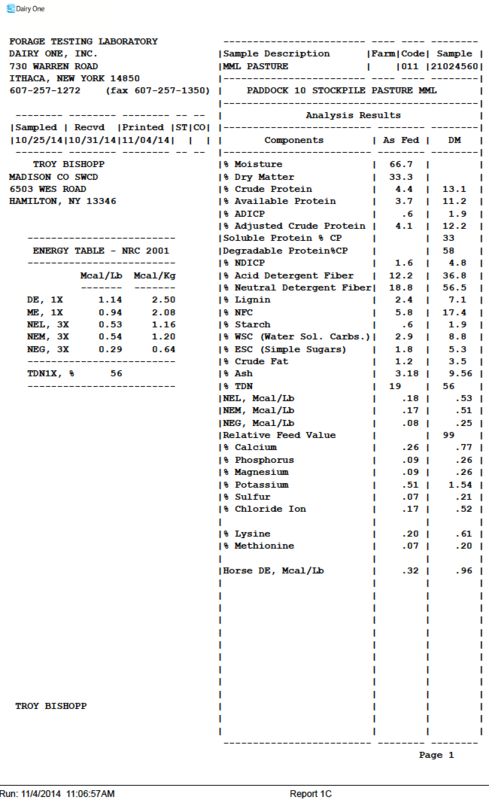 But as Kathy Voth points out, its possible that my green forage is quite high in protein and they are balancing their diet by adding the older, browner forage to balance the high protein. 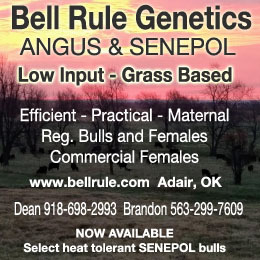 According to the nutritional needs of an early to mid gestation 850lb heifer, this feed just meets their daily requirement. The energy should be 60 ME, and we’re at 56. However since they can eat all they want they tend to get what they need. Here’s what the forage sample looked like when I collected it. The big news this week was that we finally got our first killing frost on Halloween. Even though the grass was frosty, I’m not sure how much it really affected the dense, rested pasture. I’m sure the quality will take a little hit. We’ll find out how much from the forage samples I’m taking. I found that the first paddock in field ten had regrown 2 inches before we got the frost. The golden dung flies are still active and the manure is just about perfect, still with a pumpkin pie consistency. We had 5.05 inches of rain for October and the temps are moving into seasonal averages. The pasture has compressed some and looks much shorter as the orchardgrass has toppled on itself due to the rain and its own growth. I continue to be amazed at the amount of late season green seed-heads. Since we have grazed and clipped we shouldn’t have these but we do. Perhaps this is showing how fertility and management decreases the stress of a plant so it can reseed itself and put more growth on. I did take soil samples last Saturday of the whole farm and was excited to see all the cool stuff at the soil surface. I can’t wait to see the results of all this litter and earthworm activity on organic matter levels. We are not back-fencing since the cattle are soiling up their feed area with poop, urine and trampling and seem to be leaving a decent amount of residual. I’m trying to get my hands on a digital raising plate meter to measure this residual since its hard to quantify the before and after. The only glitch I have to report is that the cattle decided to go on a little hiatus into field 12 because my fence had a dead short along my gulley and some old buried wired. I got them all back where they were supposed to be by corralling them with poly-tape. THey were well fed to say the least, and thirsty. We’ve already been able to graze 5 more days total than I had planned. 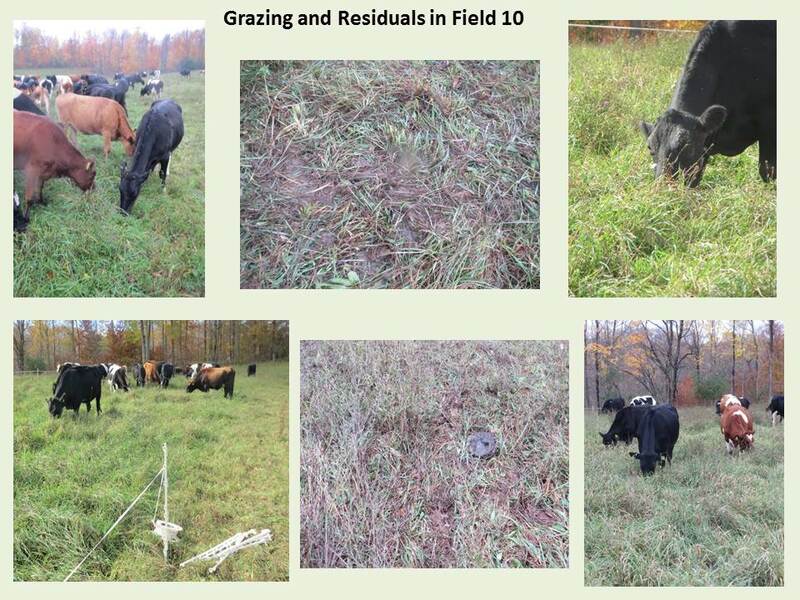 My grazing planning is always predicated on animals eating a third more when it gets colder. So things could change. We’re heading into paddocks 11 and 12 for the next 10 days or so. Stay tuned! The start of grazing paddock 11.